Africa can benefit from many innovations, but is uniquely in need of new ideas to help conserve wildlife that ranges across vast expanses of land and is irresistibly tempting to poachers. 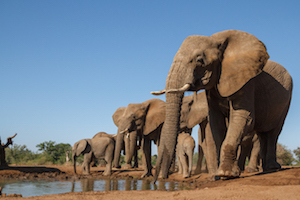 African Parks has been remarkably adept at deploying Internet tracking to fight the scourge of poaching that threatens both precious wildlife and the valuable tourism industry. African Parks, which manages 15 wildlife parks and protected areas across African countries such as Zambia, Mozambique and the Democratic Republic of Congo, is deploying high-tech digital innovation and the Internet of Things to solve practical on-the-ground, analog problems. It uses a long range wide-area network (LoRaWAN), in an integrated system that enables rangers to keep tabs on animals, visitors and potential poaching activity through real-time monitoring equipment, as at Rwanda’s Akagera National Park. Using sensors that can track animals and transmit data, African parks is fighting poaching of rhinos and other wildlife, and making it easier to complete translocation and reintroduction programs of wildlife into some countries. Of course, with human predators highly motivated by the value of these rare animals, they are highly inventive, and have tapped into the same data to find targets for poaching. African Parks has to keep innovating just to keep up.